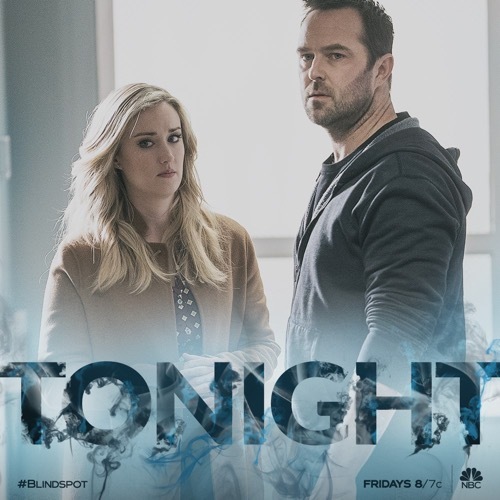 Blindspot the season 4 episode 12 airs at 8 PM – 9 PM ET on NBC. Make sure to bookmark this spot and come back for our Blindspot recap! While you wait for the recap make sure to check out all our Blindspot recaps, news, spoilers & more! Tonight’s Blindspot Recap begins now – Refresh Page often to get the most current updates! Jane’s condition was deteriorating. She was now completely blind and all her hopes remained on the Stanton Cells. There were a rare kind of stem cells and the one person that the team suspects have them was a notorious reclusive. Mr. Lee likes to spend his vast amount of money and let the world come to him. To see him much come to an agreement with him, both Patterson and Rich knew they would have to make some concessions. They made an appointment with Lee and they told him about their friend. They mentioned that Jane was dying and that she needed the stem cells to cure her. They also said that they were willing to make Lee a lifelong friend of the FBI and were capable of giving him all the accolades he could ever need. They thought if they couldn’t appeal to his heart that appealing to his pride would work, but Lee didn’t care about those things. He said he wanted to keep the stem cells for himself. Lee wasn’t sick or anything though he wanted to keep the stem cells in case one day he might need them. Both Patterson and Rich begged for his help and Lee didn’t care about what they had to say until Patterson broke the rule of bargaining. She offered up something she didn’t have. Patterson offered Lee the “Book of Secrets”. The “Book of Secrets” was a rumored book detailing mystical cures older than anything else found in modern medicine and so it was the perfect thing to lure Lee in with. He became hooked the moment Patterson mentioned it and he said he’d agreed to the trade. Only Patterson didn’t have this book. She let Lee think she had it in order to get his agreement and then she panicked with Rich afterward because they suddenly had to find a book that may or may not be real. Rich thought it was real because he dedicated the best part of his life trying to find it and he had even written a basic book about it. He had given his dissertation to Patterson to read and he thought she never got around to it, only she did. She read the whole thing and that’s why she believes the book is real. She saw something at Lee’s home that came from the cache they got from Roman and so she thinks Roman is pointing them to this mystical book in order for them to trade it for the stem cells. Rich and Patterson went back to his research. They dug through everything and they found clues that Roman was pointing to. They found a picture from South America and inside of it was a clue to the Cusco Cathedral in Peru. Both Rich and Patterson decided to go while Weller chose to stay behind. He told his friends that he believed in them and that if anyone could find this mystical book it would be them. He just couldn’t go with his wife being so sick. Jane could die at any moment and Weller wanted to be with her rather than on some adventure. He wished his friends the best of luck and the duo soon flew to Peru. Rich and Patterson went to the Cathedral where they found clues and they believed it might be leading them to a known explorer. The explorer they were looking for was Alejandro Mendoza. The man has long since passed away, but his daughter was still in town and she owns a hotel. Rich and Patterson went to the hotel pretending to need a room and unfortunately, the hotel was booked out. They were instead offered Alejandro’s old study and so they truly hit the motherlode. They found clues in the room to a site and they went there. They found a rock and there didn’t seem to be anything inside. What they did was a computer code written on the rock and that couldn’t have come from Mendoza who hid the book in the 40s. Patterson realized that Roman must have gotten to the site before them and so they used the code they had with one of the caches they were never able to open. It led to a double authentication that only Jane has the answers to it and so she used her password to finally get to the final file. The file was a map. Roman hadn’t been able to figure it out before he died and he wished his sister the best of luck. She thought that they’ll never be able to figure it out as well because Roman had had a year and they had days, but Weller said that Roman didn’t have either Patterson or Rich. The two took one look at the map and didn’t know how to decipher it. They thought maybe there was a clue to unravel it and what better place to find answers than Alejandro’s notes. He left his notes in the study and so the duo combed through them until they found out that Alejandro left the book at a tourist spot. The reasoning was that by the 40s all the plunderers had left by then and so hiding it in plain sight was actually pretty impressive. Patterson and Rich traveled to the site and they used the stars at that time to determine that the book was near the animal sacrificial altar. Rich used the trowel he remembered to pack and he unearthed the book. He and Patterson had been excited about saving Jane’s life that they rushed back to the hotel and were instantly held up by Mr. Lee. Lee had left his home in order to steal the book from them and he threatened their lives if they didn’t hand it over. They had thought they would lose their last chance at saving Jane and so it was a good thing they got help from back home. Weller had tried calling Lee to see if he could make a deal and when he heard the recluse had left his home after so many years – he became suspicious. He tracked Lee’s cell and summarized that Lee was going to back on his deal. So the Peruvian police arrested Lee and Lee was given a choice. He could take his chances in a Peruvian jail or he could hand over the cells and be put on house arrest back in the US. Lee handed over the cells and the Book of Secrets was handed over to the Peruvian Government to be placed in their museum. And so the team got the stem cells to the doctor and had saved Jane’s life. Jane was now going to be okay and no one was happier than Weller! Unfortunately, there just one hiccup. Reade hasn’t been able to contact Zapata or Boston. They had pretended that Boston was Del Toro for a meeting with Madeline Burke and Burke had sprung a surprise on them at the last minute.